Since Washington, D.C. is feeling the dog days of summer, we decided to showcase some of the good boys found in the National Building Museum’s permanent collection. Dogs make many appearances in our Architectural Toy Collection, on blocks or as playing pieces and figurines. These “Picture Safety Blocks” feature multiple animals, themes, and letters, including this blue Wolf. 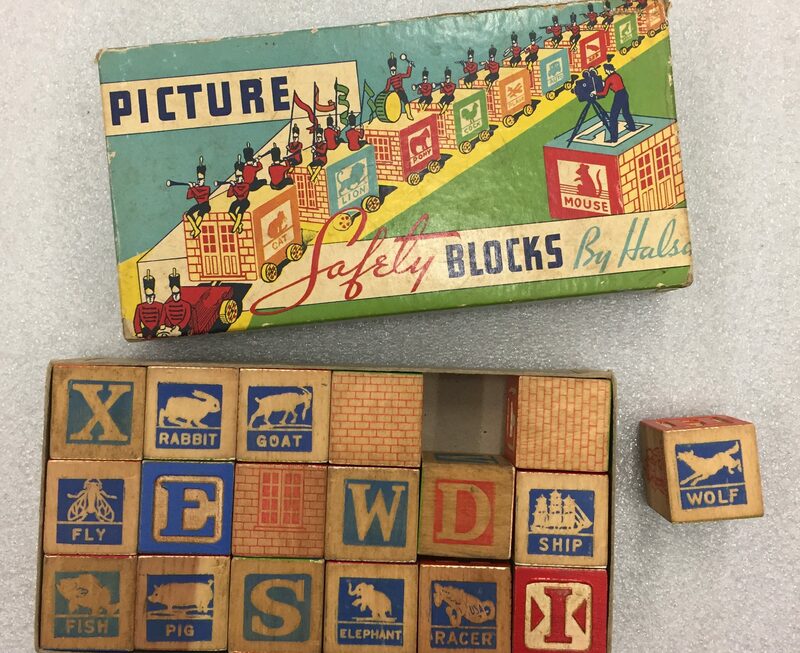 They were manufactured in the USA around 1926 and are part of our Architectural Toys Collection, donated by George Wetzel in 2006. 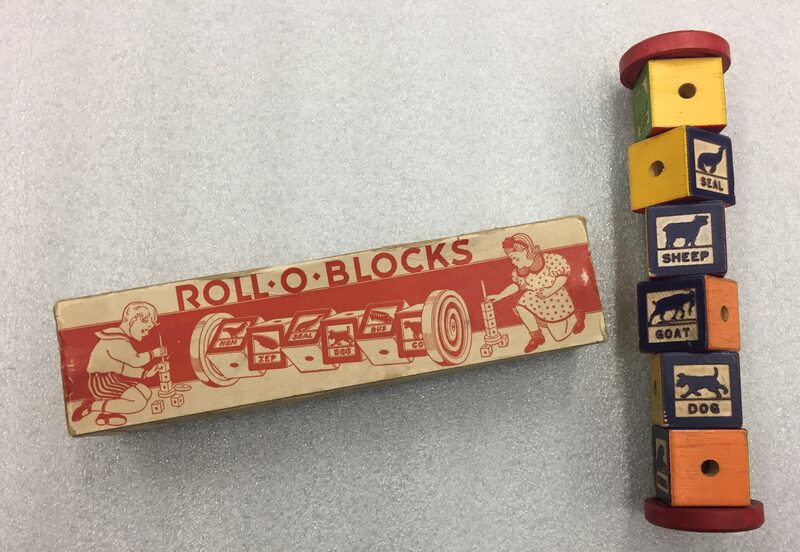 These “Roll-O-Blocks,” made in the USA around 1928, can be pulled apart and reconfigured to create different structures. This set, which features a Dog block, is the only Roll-O-Blocks toy in our Architectural Toys Collection. 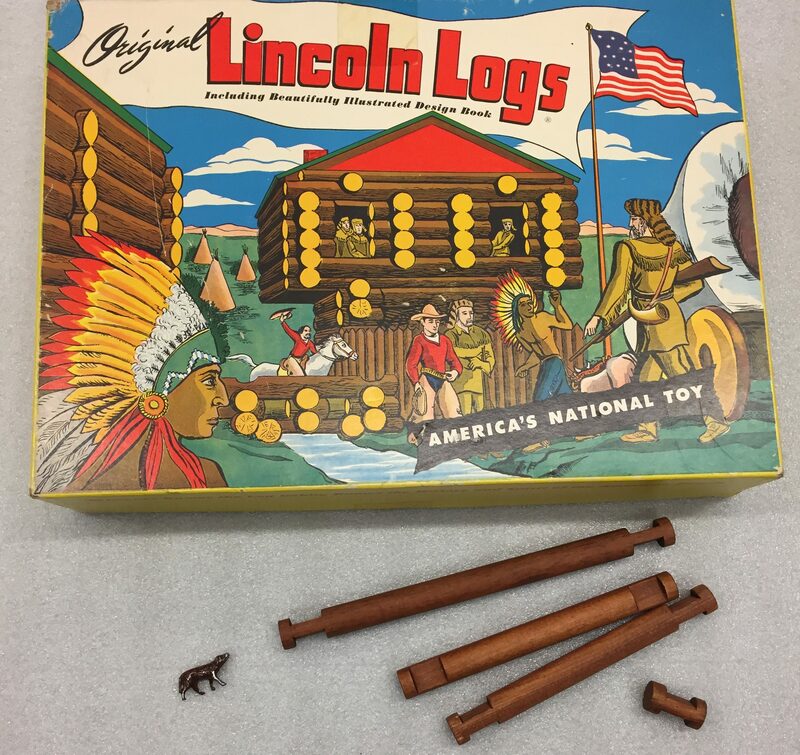 These “Original Lincoln Logs” are undated but were likely manufactured in the USA in the late 1940’s. The very first Lincoln Logs produced in the 1920’s were extremely simple and only came with the wood pieces to build a log cabin. As years went on the sets began to include metal or plastic figurines of people and animals, including this small metal dog. The Architectural Toys Collection currently has over 50 Lincoln Log sets. 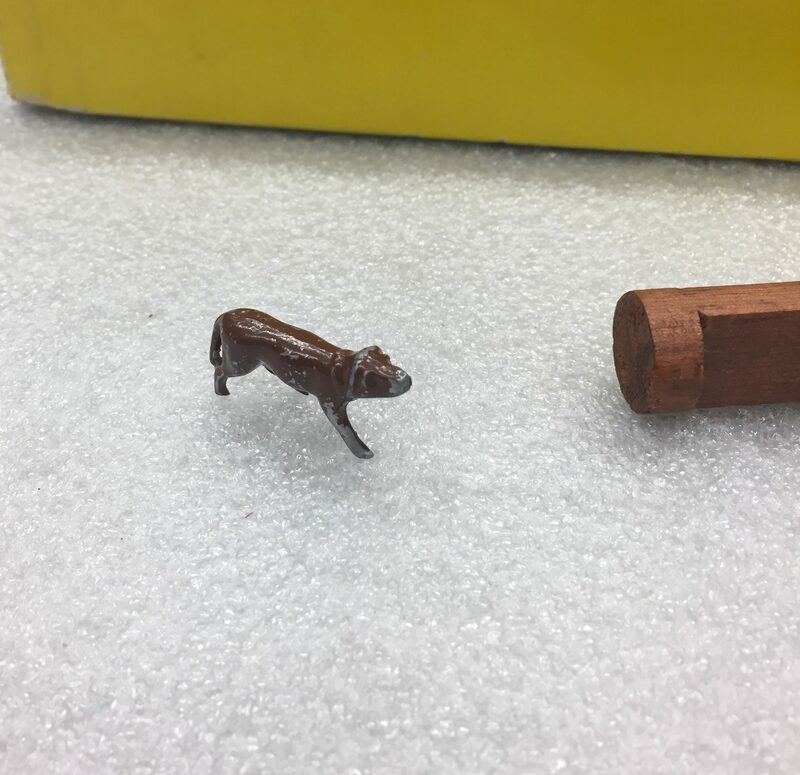 While doves, lambs, and serpents may be the animals you’d expect to find in the Washington National Cathedral Collection, our furry friends make an appearance there as well. 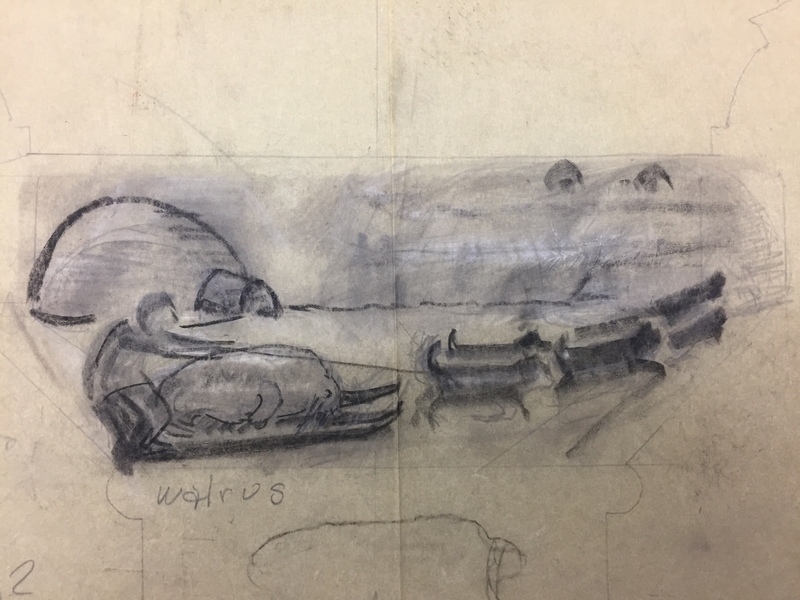 Undated sketches attributed to sculptor Heinz Warneke depict energetic pooches keeping their owners company while fur trading and pulling a sled after a hunt. 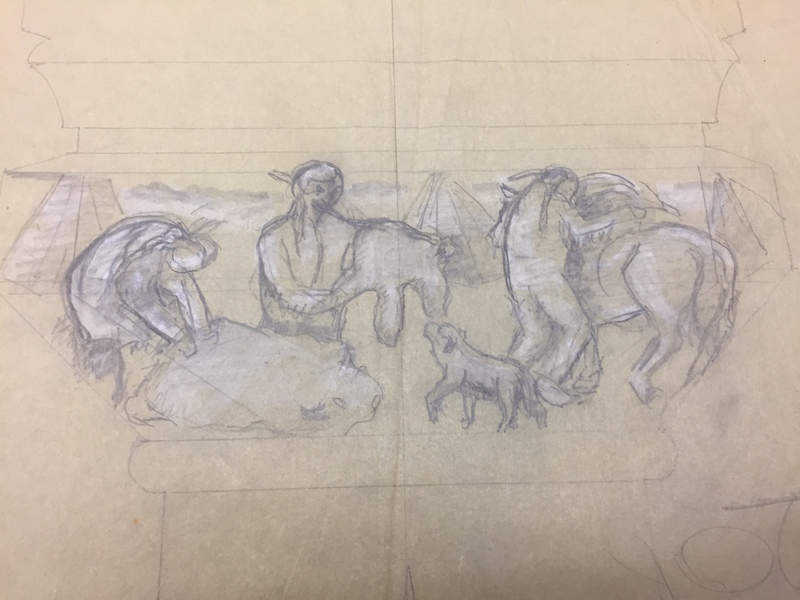 Undated (but estimated circa 1930’s) “Fur Trading” sketch attributed to American sculptor Heinz Warneke in the Washington National Cathedral Archives Collection. This sketch, as well as “Return from the Hunt” are meant to depict different Native American tribes across the United States. Approximately 32,000 blueprints and drawings make up the Construction Archives Collection, which was donated by the Washington National Cathedral in 2015. Undated “Return From the Hunt” sketch attributed to Heinz Warneke in the Washington National Cathedral Collection. 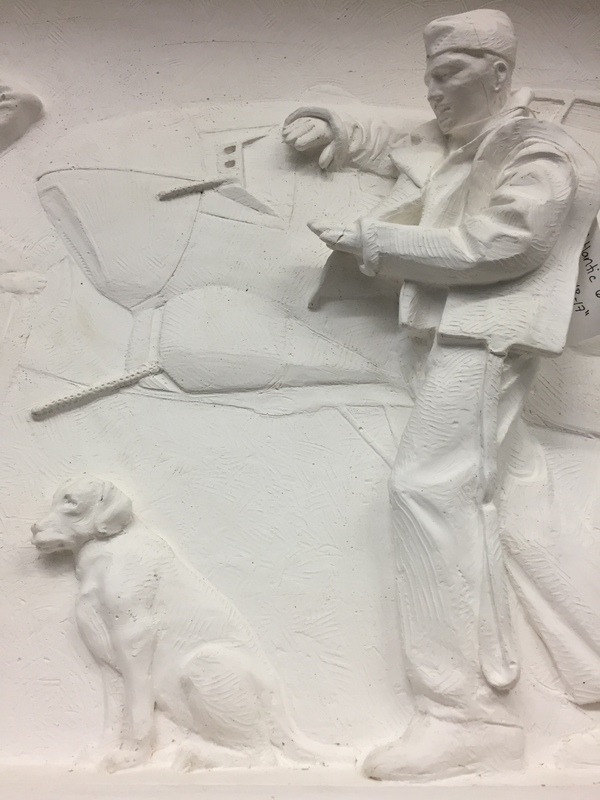 In the Raymond Kaskey Collection, a patriotic pup is featured on a plaster mock-up of the World War II Memorial panel for the European Theater. This World War II Memorial panel depicts a Bomber Crew (with canine companion), and is part of the series of panels representing the European Theater of the war. The panel scenes show real men and women at home and overseas, and are based on extensive research into the experiences of varied groups during the conflict. They are recreated in bronze on the actual Memorial, but these plaster mock-ups are part of the Museum’s Raymond Kaskey Collection, donated by Kaskey in 2013. Learn more about the Museum’s Collections.